Have you met the problem that “can’t restore from system image”? How do you do if the bad thing happen to you? This article will give you the answer. 1. Restart the computer with the system repair disc, follow the prompt “press any key to boot from CD or DVD”. I pressed a key and it showed me a window to select keyboard layout, and I selected US. How to restore system image in Windows 10? Well, the question in the Scenario can be solved easily. 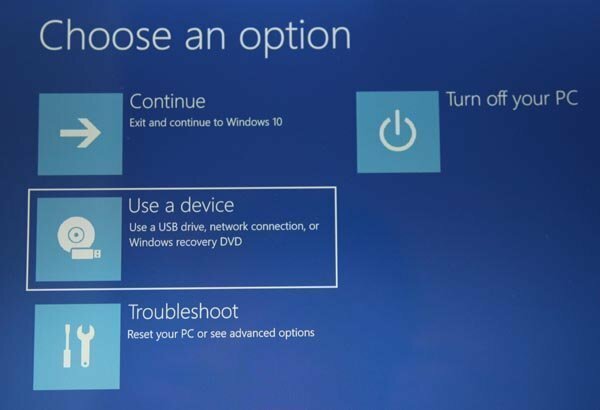 In Windows 10, if you want to restore system image, you need to open the Troubleshot, and then, choose the Advanced to set up to. 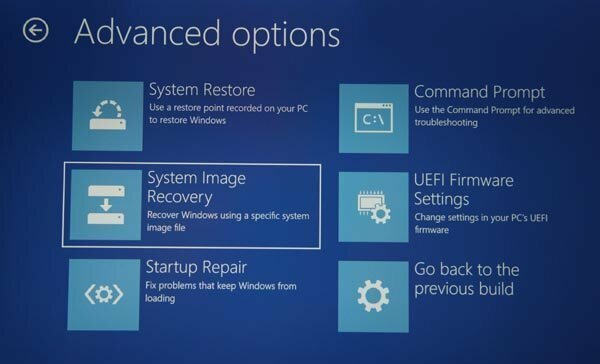 So, you can change the way to restore system image in Windows 10. In the step2, select Troubleshot (under Use a device) instead of Use a device, and then, select Advance options. In Advanced options, you should select System Image Recovery. Then, choose a target operating system to restore. 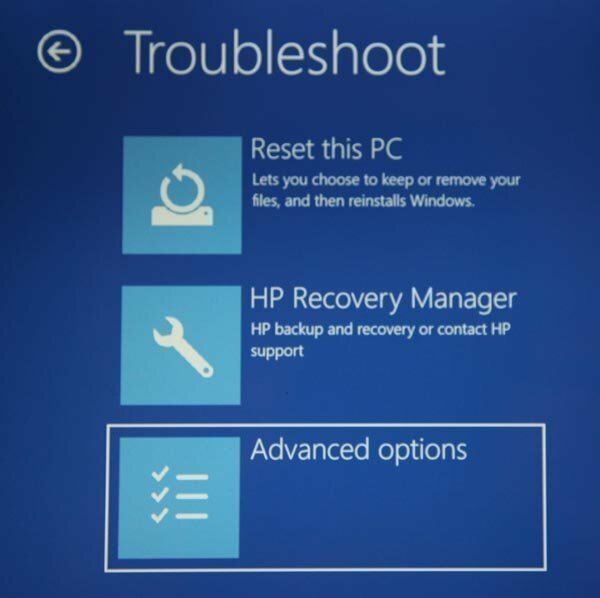 Although Windows 10 has the tool for creating system image and restore from it, some users can’t restore system image with it successfully, especially the one who doesn’t familiar with Windows. Fortunately, there provides you another way to help you make system image recovery much simpler and easier. How to restore system image much simpler and easier? Here we highly introduce you a third-party software AOMEI Backupper Standard, a free backup software that can help a lot with restoring system image, no matter what Windows you using, because it supports all Windows PC operating system including Windows XP/Vista/7/8/10. First, you need create a system image in Windows with AOMEI Backupper, and use AOMEI Backupper to create a bootable media, or you can use AOMEI PEX Boot tool to create a Windows PE bootable ISO. Then, you can start to restore system image. Step1. Plug the external hard drive with system image and boot your computer from the bootable media you created before. Then, the main interface of AOMEI Backupper will display on the screen. Select Restore. Step2. Then, click Path to select an image file and restore data from the file, and then, select a backup time point to restore. Click Next. Step3.in the Operation Summary, you can confirm the information of the operations that will be executed. If there is no problem, click Start Restore to launch the progress. ● The Sector by sector restore will make an exactly restore of every byte, and it will take more time. ● The Enable Universal Restore will be chosen in default if you are restoring system to a different computer. AOMEI Backupper Standard is such a great freeware that can help you restore from system image successfully. Actually, you can use it to do more for protecting your data loss. Such as system backup, disk clone; you can also use it backup files even a single file; it supports you to sync files between two computers an so on. What’s important is that you can download it free for using.